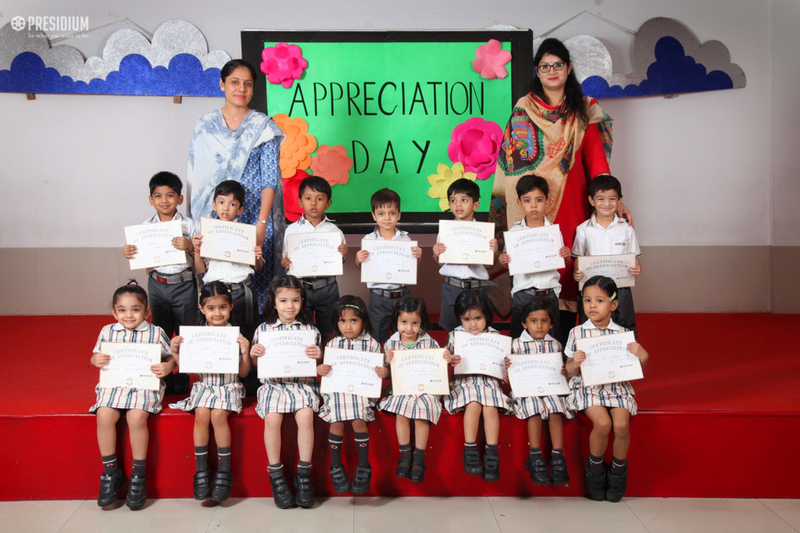 Appreciation not only makes a person happy & joyful but also creates bridges of motivation and inspiration which leads to success eventually. 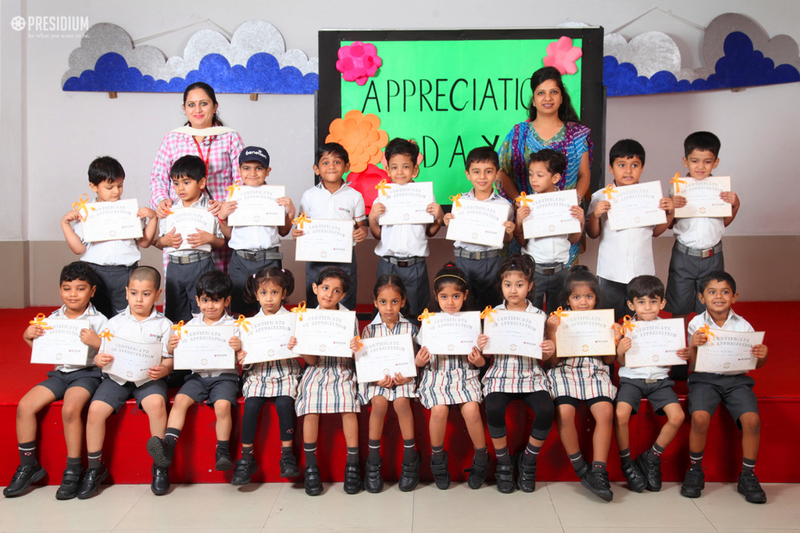 Acknowledging efforts, talents and attributes gives the tender hearts, a sense of being loved. 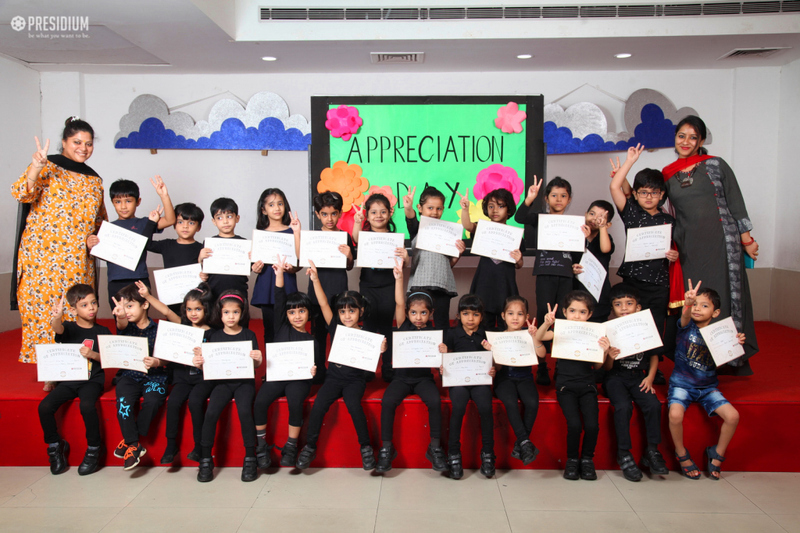 We at Presidium really believe that the students must receive appreciation and acknowledgement at the end of every term, so that their confidence always remains boosted. 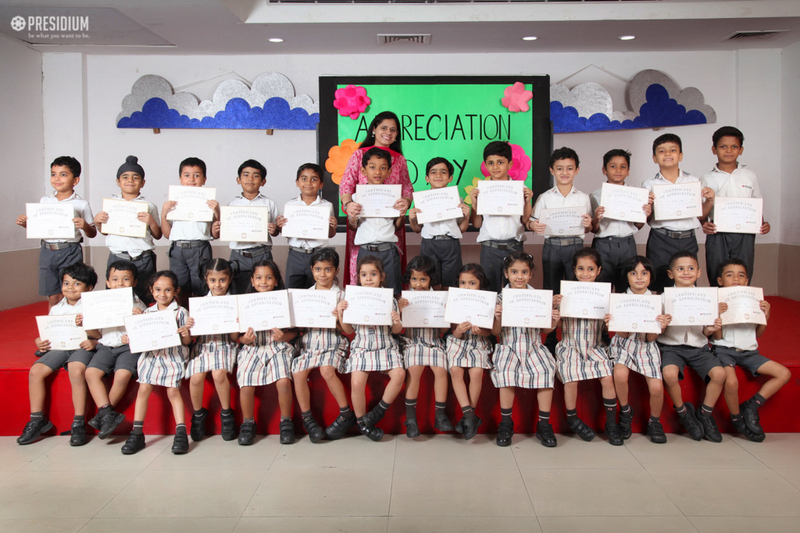 With constant love, motivation and inspiration they will become capable enough to convert their signatures into autographs. 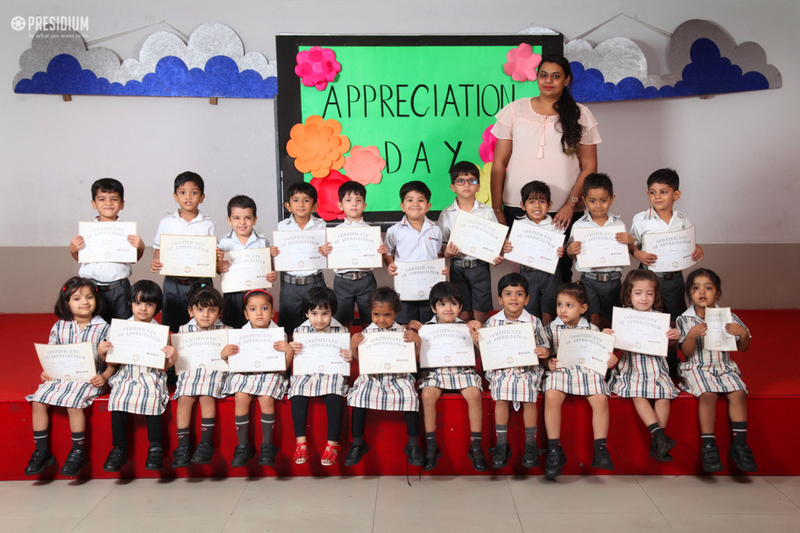 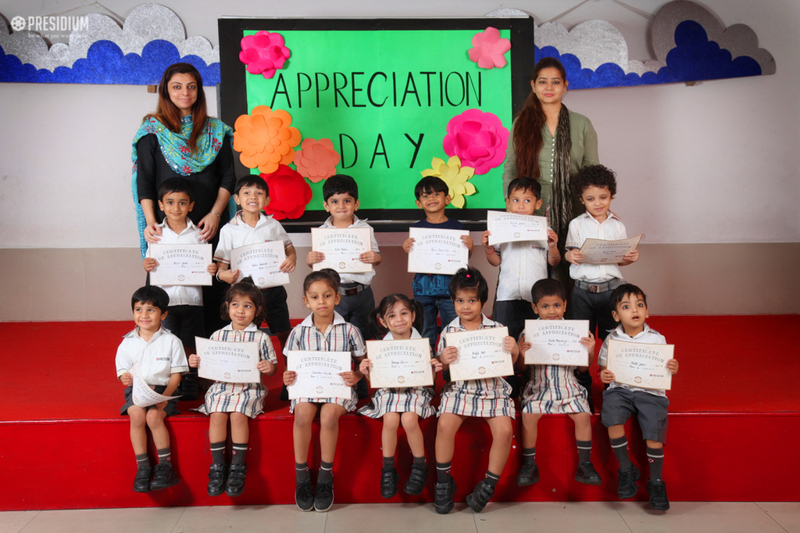 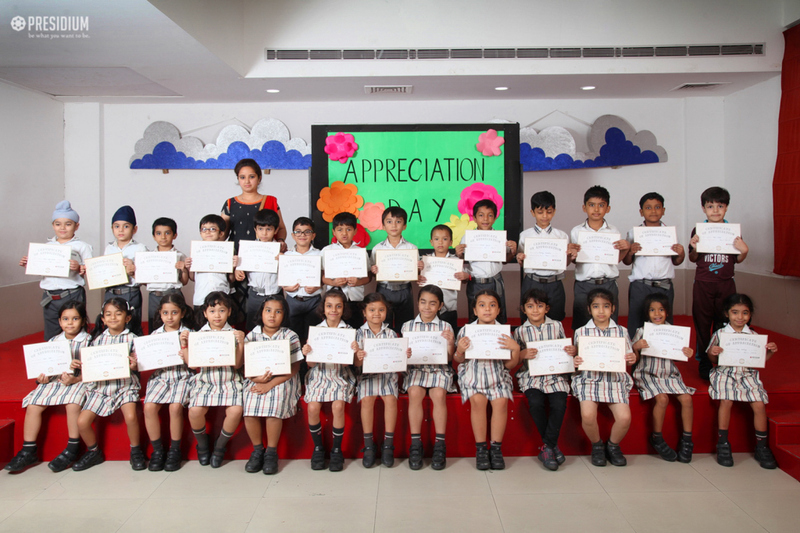 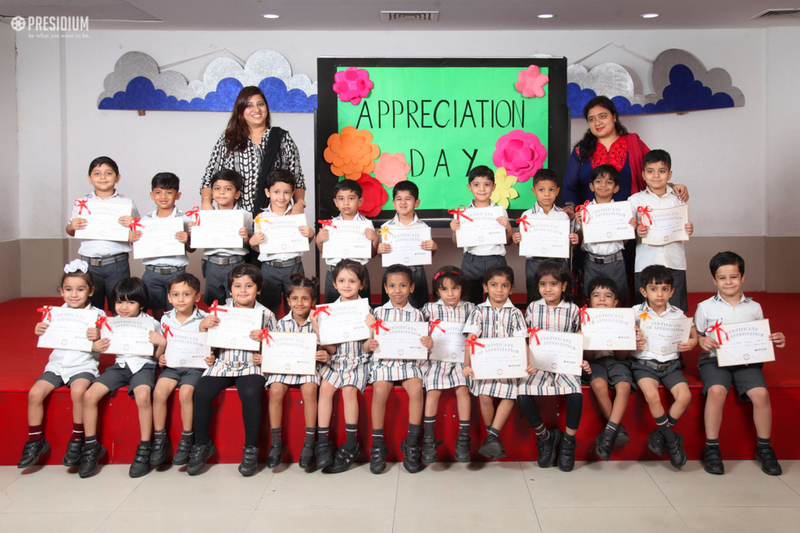 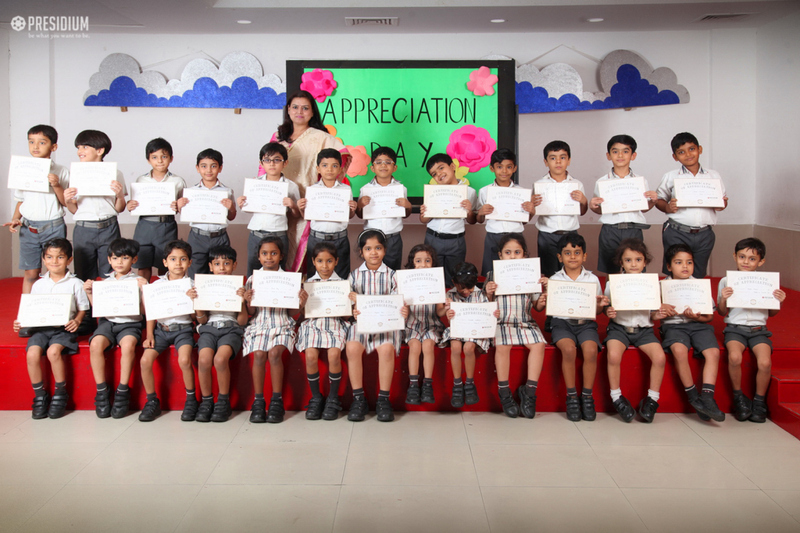 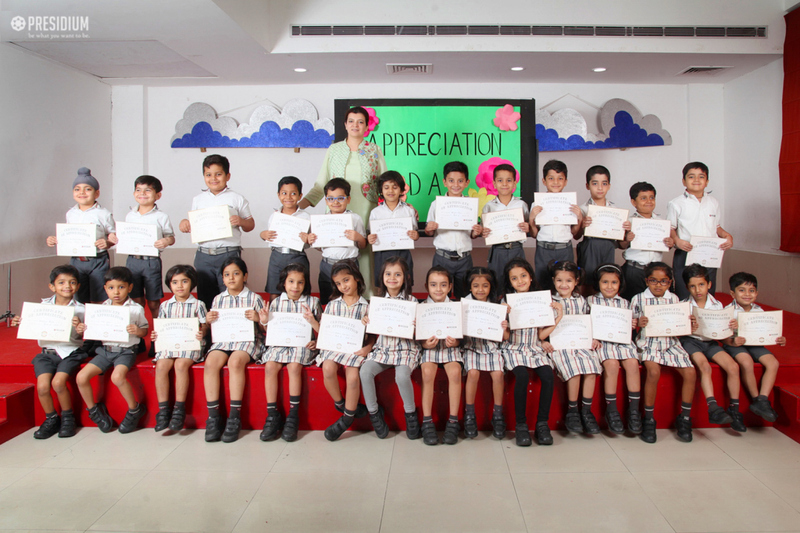 Thus, we recently organised an Appreciation Day to acknowledge their significant contribution in each term. 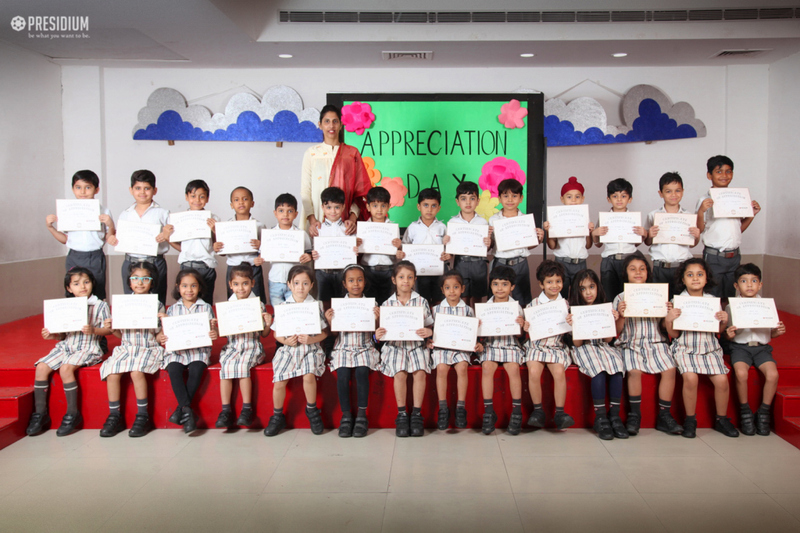 They were felicitated with special certificates of recognition for their best qualities. 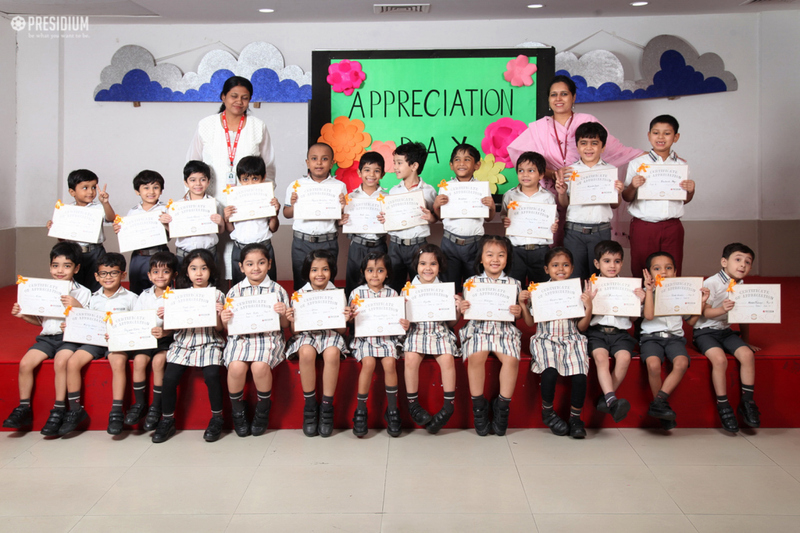 Their beautiful smiles truly conveyed that 'Appreciation is the true fuel to engine of excellence'.